READY TO START MAKING SERIOUS POWER? A world championship, national records, countless victories and thousands of satisfied customers don’t lie. We make power, and we do it better than anybody. One phone call and you can tap our arsenal of expertise gained from 40 years of wrenching and racing at tracks across the country. Don’t guess. Give us a call and get the perfect cam – the first time. 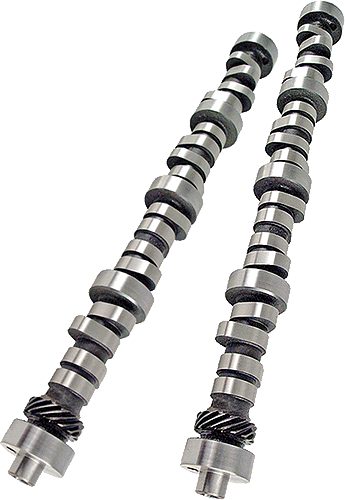 With the following information we’ll build you a camshaft that devours the competition. 1. How will you be using your vehicle – on the street, the drag strip, oval track or towing? 2. What is your engine’s displacement in cubic inches? 3. What is your vehicle’s weight? 4. Will you be using hydraulic, solid roller or flat tappet lifters? 5. Is the transmission manual or automatic? 6. If it’s an automatic, what is the stall speed? 7. What’s the rear tire size? 8. What’s the rear end gear ratio? What’s the RPM range? 9. What cylinder heads will you be using? Are they ported or unported? 10. What’s the compression ratio? Cam and lifter kits are priced from $225 to $725. Don’t forget to ask about pre-installation break-in of your flat tappet. 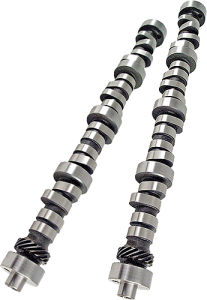 As inventors and patent holders of the CamKing, this service is offered exclusively by Cam Research.